It's not only American brands offering full-size off-roaders these days. Having already joined the fun with a Tundra pickup packed with off-road goodies engineered under the TRD Pro banner, Toyota is now giving the Sequoia SUV the same treatment. 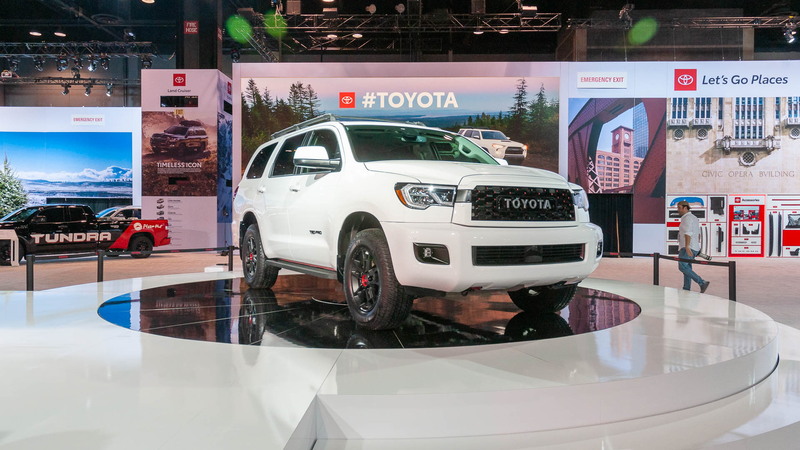 Making its debut on Thursday at the 2019 Chicago Auto Show, the 2020 Toyota Sequoia TRD Pro with its seating for seven makes it possible for even big families to head off-road. 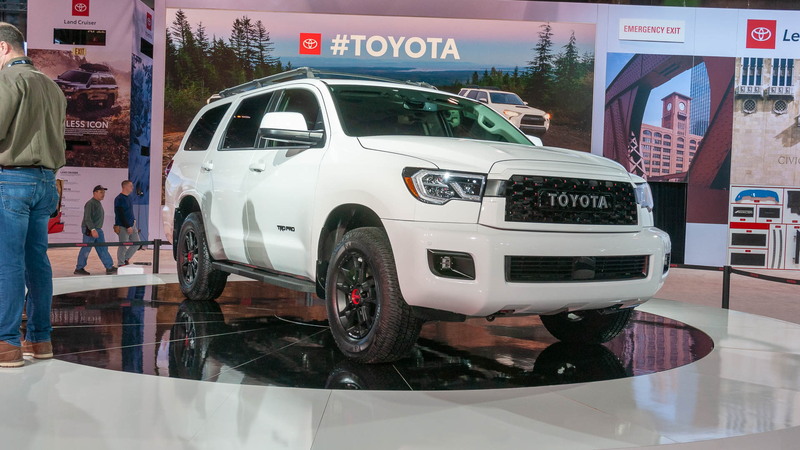 Key to the vehicle's off-road chops is the custom suspension with TRD-tuned Fox shock absorbers, which are designed to become firmer the more they are compressed to resist bottoming over rough trail surfaces. 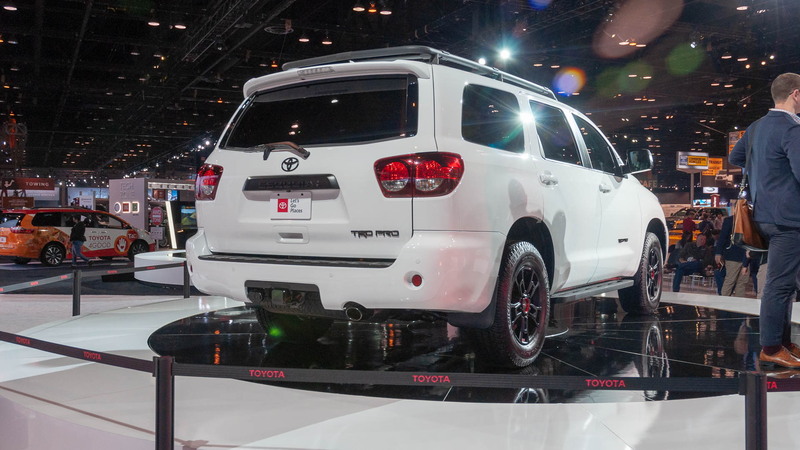 Like all TRD Pro models, the Sequoia TRD Pro has been dressed to stand out. It rides on 18-inch BBS wheels and features a custom grille with a large “TOYOTA” script shown prominently. There are also LED headlights and fog lights, a front skid plate, running boards, roof rack, and cat-back exhaust. The sole powertrain is the Sequoia's 5.7-liter V-8 which generates 381 horsepower and 401 pound-feet of torque. The engine is mated to a 6-speed automatic and an all-wheel-drive system with a locable Torsen limited-slip center differential and a two-speed transfer case for low-range mode. 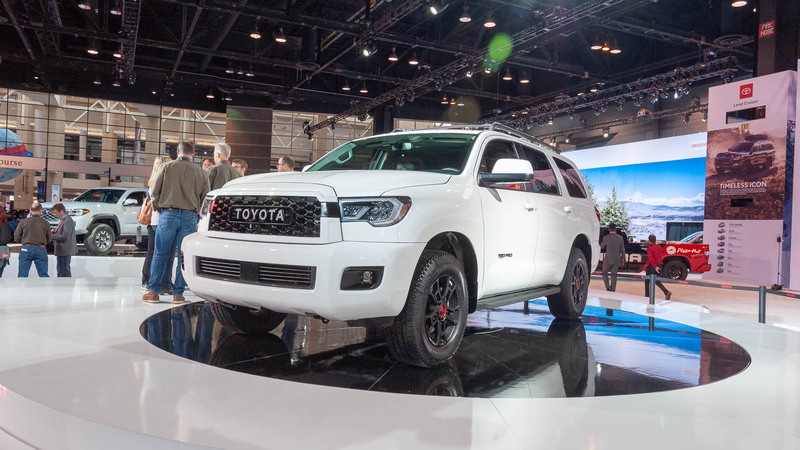 The arrival of the Sequoia TRD Pro coincides with a series of upgrades for other TRD Pro members for 2020. All of them feature new infotainment systems with Android Auto, Apple CarPlay, and Amazon Alexa compatibility. 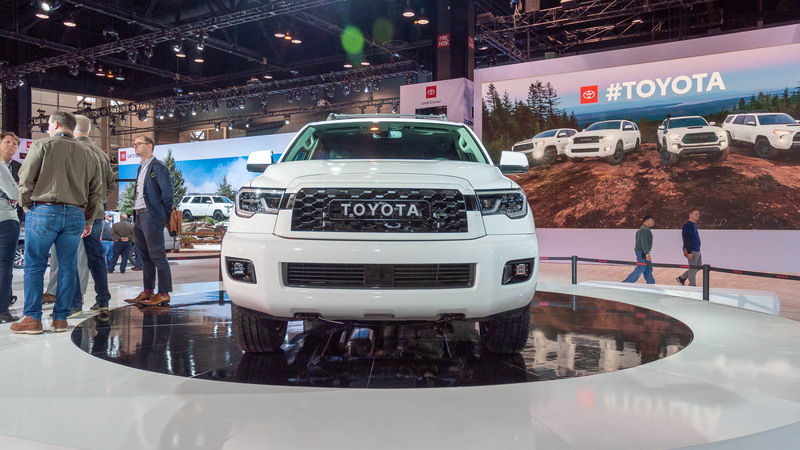 The 4Runner TRD Pro also benefits from a revised grille, while the Tacoma TRD Pro sports a host of upgrades including several key electronic driver aids. Finally, the Tundra TRD Pro for 2020 will be offered in both Double Cab and CrewMax configurations.